A Healing Circle is attended by anyone who is interested in learning more about Reiki (all questions are welcomed) and receiving a Reiki Group Healing. You are encouraged to write on a piece of paper, or just have in your mind, an intention that you would like Reiki to help you with. It can be for yourself or a loved one. Terry Carine, Karuna® Reiki Master/Teacher invites you to join her. She and other participating Reiki practitioners will give hands on healing (with your intentions in mind) to end the evening. Reiki is another name for the loving energy that fills every cell of our being with vital force. Reiki replenishes the life force energy that gets depleted from everyday stresses and illness. It is an all knowing energy that is aware of what we need to remain healthy and happy. 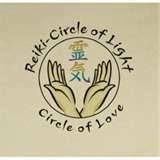 If you are interested in attending a Reiki Healing Circle, email Kathy here. We will set up dates as interest is submitted! Thank you!